The impressive tale of how one man came to build a professional racing simulator single-handedly on his front porch, having been given a monocoque after one of his race events is not a myth. Believe it or not, the Inzane race simulator was indeed built by Matthijs Hoitink, in his spare time, at home, over the course of a few years. Matthijs developed the idea when one of his race cars crashed at an event which left him with a monocoque and translated it into the product that is the very cool Inzane race simulator you hear about and know today. Matthijs Hoitink is a Dutch national that currently resides in Kuala Lumpur, Malaysia. He is currently the Series Manager for the Asian Le Mans series and Formula Masters China. Having been in Asia for ten years, his name is not a new one to the motorsports industry, having been Series Manager for Formula V6 Asia and Formula Asia 2.0 racing series, he was also the Series Manager for Formula BMW Asia back in 2004. Having weathered the Asian motorsports industry, Matthijs, an engineer himself has many hobbies on the side, one of which includes building things. 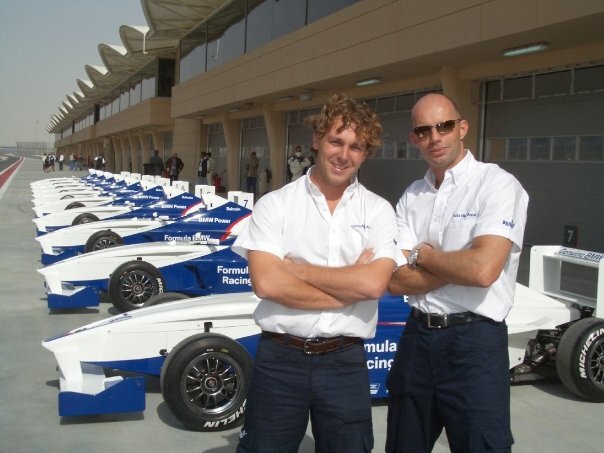 Hence the birth of the Inzane racing simulator, named after his two sons, Irell Zane and Tyson Zane. This amazing racing simulator is like none other you’ve seen before in Malaysia. To read more on the product, browse through this website.